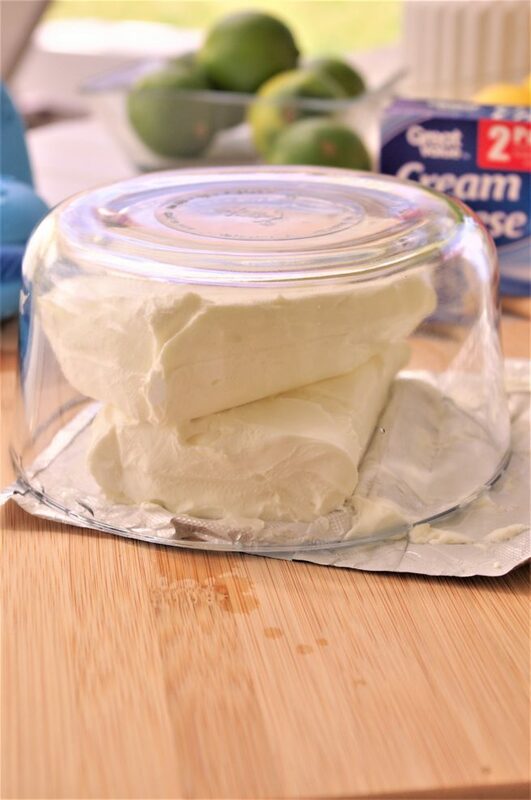 Does your yummy dessert recipe call for softened cream cheese, and you are just now taking it out of the fridge to start your crowd pleasing baking project? Need that treat made in a hurry and now you are freaking out? No time to wait for it to soften on the counter due to your own lolly gagging ways and poor planning? I’m not judging. How do you think I figured this out? 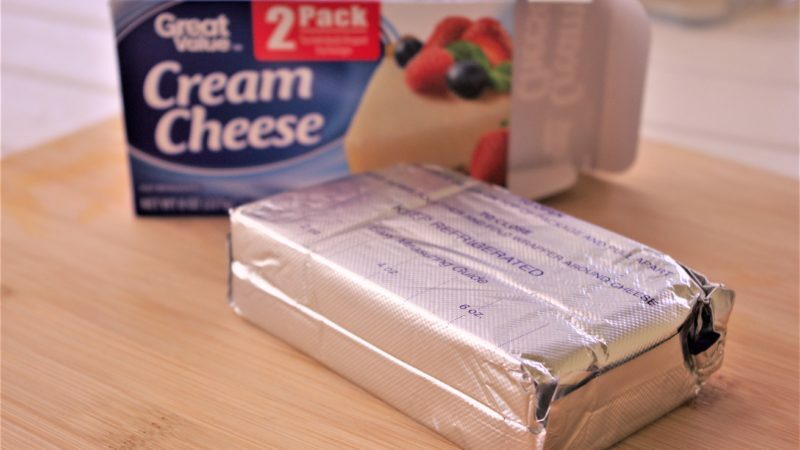 This baking hack is the answer to your procrastination lovin’ prayers, my friend! Stop skipping over all of the amazing recipes you COULD make just because they call for SOFTENED cream cheese and you waited until an hour before the party to get started on the dessert you promised to bring. Due to the FACT that your cooking life is about to change – this is, in fact, a life changing tip, trick, hack, whatever you want to call it. It’s pretty much magic and works EVERY time. Water and the advances in car safety and brilliant teachers is how, btw. Speaking of water, here’s how we are going to use this life giving element to solve our problem! 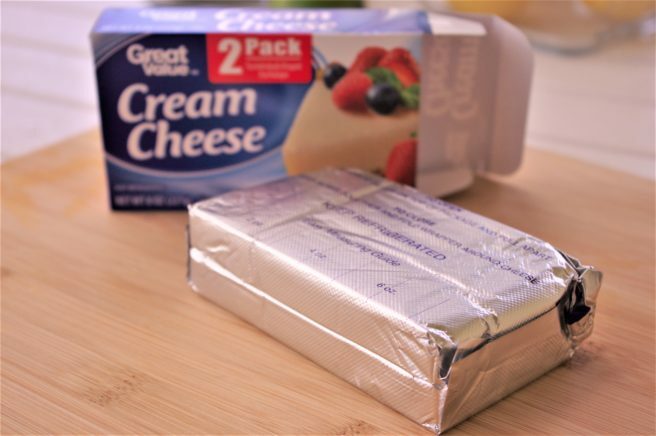 Unwrap your cream cheese leaving it with the opened tinfoil wrapper underneath and get a glass bowl (that’s big enough to cover however much cream cheese you need to soften) and fill it with hot water. Microwave your bowl full of water for about 3 minutes or fill it with hot water you have boiled on the stove. If you needed 2 packages – go ahead and put both in! Wait 10 minutes to be sure it’s good and softened and then remove the glass bowl. VOILA! Just like magic. 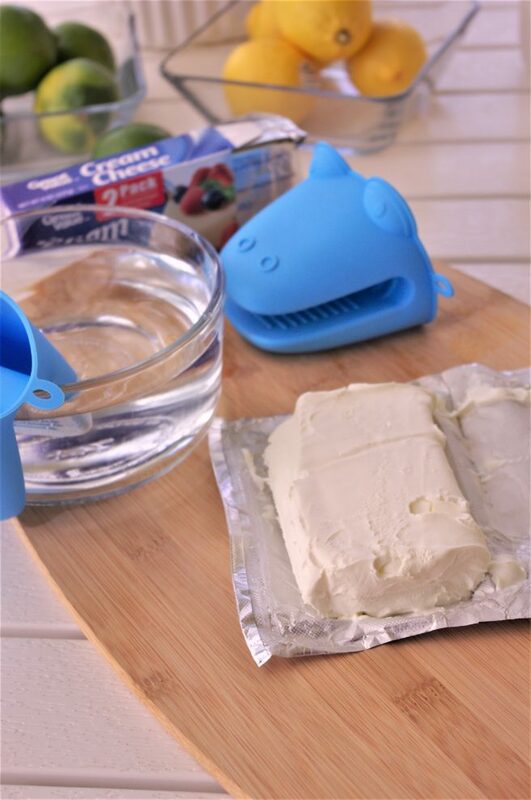 You now have softened cream cheese ready for your scrumptious recipe! You’re WELCOME! You pretty much owe me a slice of whatever yummy thing you are making. Don’t be stingy – Make sure you PIN THE IMAGE BELOW to enlighten the rest of the world! 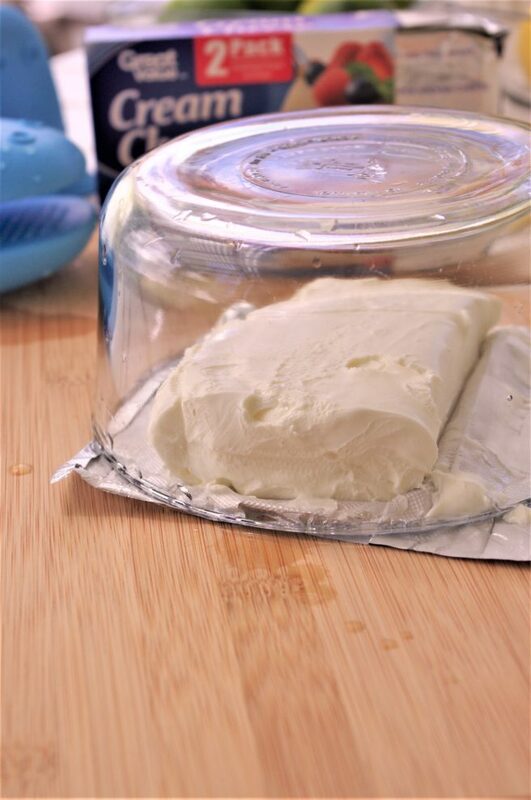 The same method (basically) works to get room temperature BUTTER too, you guys! Check out my tutorial on that. Which is where I got the idea to try it on cream cheese. Cuz apparently, I lack some kind of gene I needed in order to be able to plan ahead on a consistent basis. CLICK HERE or on the IMAGE BELOW to see the full tutorial and save it for when you need it next! Now that you have the ability to get softened cream cheese on the quicklike – you NEED to try this EASY no bake LEMON dessert recipe! It’s the most popular recipe on the site – and for good reason. 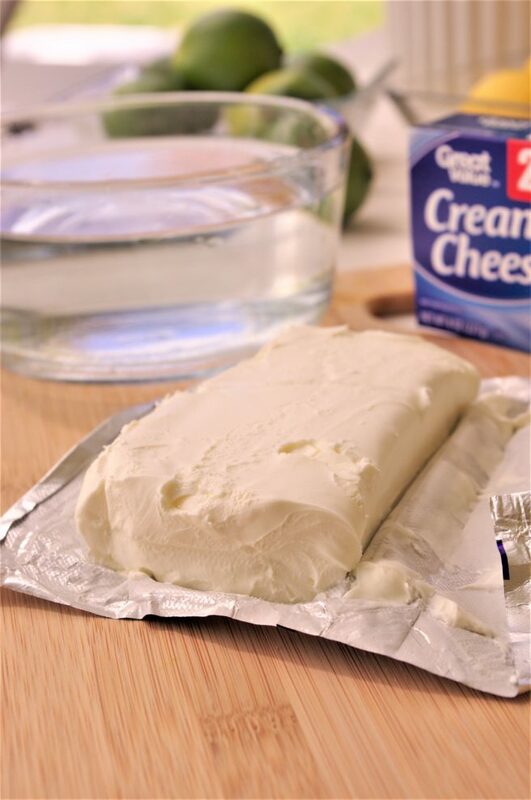 It’s easy, quick and absolutely delish!